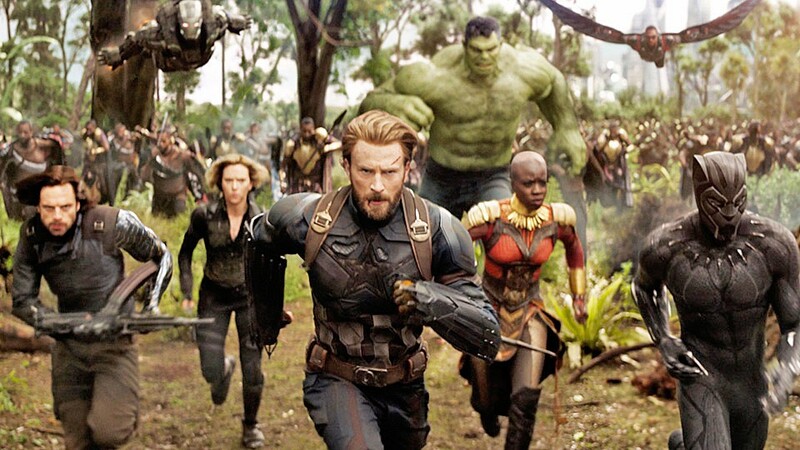 SUPER HEROES The Avengers must sacrifice everything in order to defeat the evil Thanos in Avengers: Infinity War. Geoffrey Rush takes center stage in this 90-minute dive into the quirky relationship between American writer James Lord (Armie Hammer) and renowned artist Alberto Giacometti (Rush). Taking place largely in a drab, weathered Parisian art studio/apartment in 1964, Final Portrait is based on the book by Lord, A Giacometti Portrait, about his final encounter with the master before his death. The screenplay was adapted and written by director, Stanley Tucci, who is better known for his work in front of the camera (The Hunger Games, Spotlight, Captain America) rather than behind it. Tucci takes no time in immersing audiences in 1960s Paris, immediately introducing them to Lord's character, who quickly takes over as the omniscient narrator. Lord explains that he is a writer working abroad and, through his travels and interest in art, how he has developed a friendship with the famous Giacometti. The artist has asked him to pose for a portrait before he returns to America and with assurances that the process will only take "a few days." The story spirals into its own little brand of chaos from there, with both artist and model battling depression, doubt, and the threat of failure. Tony Shalhoub plays Rush's on screen brother, Diego Giacometti, and delivers dynamic range for a character that in the hands of many would have been nothing more than an afterthought. His performance, along with Rush's standout portrayal of the famed artist, keep the film rolling, which otherwise would have most likely derailed after the second act. While pacing is at times a problem in Final Portrait, Tucci's ability to scuttle his characters in and out of 1960s Paris is commendable. One scene in particular has Giacometti dragging Lord into a small cafe following a particularly unproductive day at the studio (there are many). The two waiters upon sighting Giacometti immediately bring him a plate of food as if they had been waiting for him all morning, along with two large goblets of wine, oh, and a double shot of espresso (by the way, where does one get said breakfast around here?). A NEW ATTITUDE In I Feel Pretty, an accident causes a woman (Amy Schumer) to think she's a supermodel, which leads to her living her life in a more bold and fearless way. I find stop-motion animation incredibly charming. By today's standards of computer-generated animation, it's decidedly quaint, but it reminds me of my childhood love for Ray Harryhausen's work in films like Jason and the Argonauts and Clash of the Titans. Recent films like the Claymation Wallace and Gromit films A Grand Day Out and The Wrong Trousers or Tim Burton films like The Nightmare Before Christmas and Corpse Bride—and let's not forget Charlie Kaufman's Anomalisa—are simply amazing. There's something whimsical and wonderful about the technique, and for an inherent quirky director like Wes Anderson, stop-motion allows him to fully divest from reality. Even though the story centers on Atari and his search for Spots, this is really Chief's story. He's the character with the biggest arc, the one who has to learn about the sacred relationship between man and dog, who also has to learn he's good enough to deserve a mate like Nutmeg. The dogs are actually a lot more complex than most of the human characters, and it's Chief we're rooting for more than Atari. A BOY AND HIS HORSE After moving to a new town with his negligent father, Charley Thompson (Charlie Plummer) forms a special bond with a horse at the local racetrack in Lean On Pete.